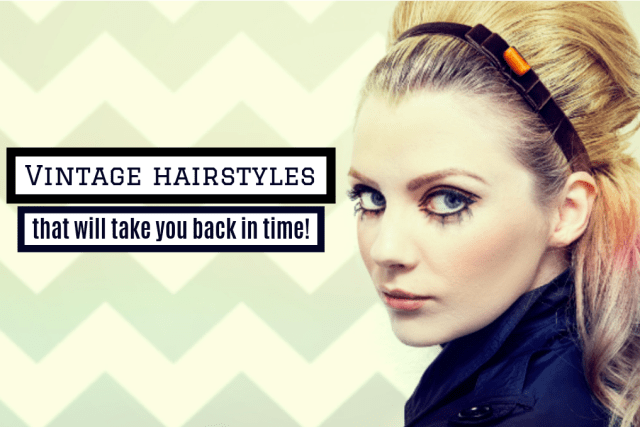 Check out these luscious locks and try out some of these vintage vibes to add a touch of class to your style. Take yourself to Twiggy and get all those locks up in a tight but loose bun. Make it big and fluffy. Use a difusor and get your hair full of volume to take you back to the days of Cindy Lauper and rosy cheeks. Part your fringe into a big loop, use a round brush to pull it back and loop it round to create the cutest quiff. Take yourself back to the 60's and curl up your short ends with a blowdryer. We can guarantee Peggy Lee would have been proud. Take it back and brush it back. Throw all your hair down, use a paddle brush and backcomb it. Then push it up with lots of spray and clip. Get the perfect vintage wave with some hot clips. Brush your wet hair into place. Add some hair spray and clips and blow dry it to set. Take the risk and cut those locks into a cute pixie look. Make it short and sweet and add some bold eyes to pop. Get your hot rolls out and twist your locks into some curlers and leave over night. Wake up and have marilyn curls for all occasions. Add some post-modern glam into your vintage looks and make it bold. Dye your hair a bold colour on top of a vintage look and own it. And now we have ended up in the peak of modern times where hair has become rainbow infused and full of unicorns and curls and colours.